The editing culture of Wikipedia is, by the standards of any other writing project, extremely conservative about preserving everything that has been edited into an article, short of actual vandalism. Sure, the top-level articles might eventually receive the kind of love and care (and intense behind-the-scenes wrangling) that is required to create a balanced, thorough piece representative of the subject. Most will never be anything more than glorified modern-day florilegia, growing like topsy out of an essay some high school student submitted until the original sense is destroyed and the article thoroughly pleases nobody with its breadth and emphasis. Editors have learned not to throw things away when they can just slap “citation needed” here or “neutrality” there and hope the universe takes care of it. Contributors have learned that drastic revisions are rarely appreciated and will (in any case) just end up repeating the cycle until the article is, once again, an incoherent mutt representing everything anyone ever wanted to make a point about, ever. Contrasting academic bias: The writer usually has absolute control over the product, the choice of topics, and evidence mentioned. Peer review provides a check but not before pride of authorship will usually tend to make a writer paranoid about forgetting to read any journal article or monograph ever written about the subject that might be worth mentioning. A single writer or small group almost always does a better job of giving the subject a coherent outline. In what can only be called “non-peer” review, every article on Wikipedia does receive scrutiny by regular editors against the mischievous vandals and trolls that assault the encyclopedia constantly. These are the people who, more often than not, decide the canonical shape and content of an article. They operate on heuristics, limited information, and a sense of entitlement that develops from their perspective that they truly are the most objective person in any room, constantly battling the forces of darkness that all seem to claim that they have better access to the truth through more intense study (as if that helped them keep a neutral point of view!). They also tend to be the ones better-integrated with the culture and bureaucracy of Wikipedia editing and who know how to win an edit war if necessary. Contrasting academic bias: Leaving aside the subject of credentials, outside the world of Wikipedia, it tends to be recognized that it’s not too hard to find a person who’s actually studied a subject to get the last word in. Wikipedia has a policy about citing sources. In theory, this means anything. In practice, more often than not, it means sources that are readily accessible online. This might be fine for some subjects, such as basic math or pop culture, where there is more than enough material online. In a subject such as history where anyone with personal experience all too frequently knows the inconvenience of the paywall and/or the paperwall, any presentation that is restricted mostly to readily-available online sources can turn into a little echo chamber that simply repeats the inherited biases of other presentations already on the web. Contrasting academic bias: Participating in academia means being able to get through the paywall and paperwall, usually with the aid of institutional resources (the library). If anything, however, this is just another argument for increasing the amount of open access research that might then find its way to tertiary sources, including Wikipedia. 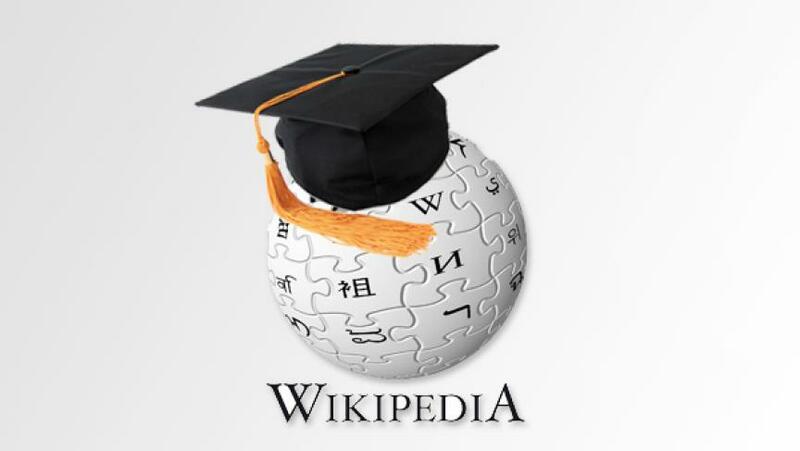 Contributing to Wikipedia is rarely rewarded with the common currency of academia, getting recognition for your ideas. Also, the better a contribution to Wikipedia is, the more likely that all subsequent edits will be downhill from there, so there isn’t even a strong sense of being able to improve the encyclopedia with better content on the part of highly-qualified contributors. The project is run primarily by and for enthusiasts. When the community of enthusiasts is large enough and capable enough on their own, great things can happen. For something more obscure, like Coptic, anything (or, more likely, nothing of note) can happen. Contrasting academic bias: There is a level of toleration for the lay contributor, but in general the university-affiliated folks set the agenda. The good thing about academic training, of course, is that there is actually training involved in subjects that are difficult for the autodidact. But, in a soft science especially, there are two kinds of really bad hypotheses: the kind that is glaringly bad and really easy to prove as such and then the kind that is glaringly bad and isn’t. There’s no process for getting any kind of consensus about the latter. Anything that isn’t a howling error will mutate again and again so that it can always persist in some form, even if just as a point of view from Mr. Some Say. This is just a consequence of the lazy, conservative writing process that never wants to throw anything away. Contrasting academic bias: Errors remain the author’s own. Publishers and peers willing to help find errors in a manuscript are worth their weight in gold. On the other hand, the writer is responsible for all opinions presented and so is less likely to footnote that some people think aliens built the pyramids. Wikipedia is the sum of its contributions, and each one of its contributors brings a point of view to the table. When the community around a subject also tends to advocate a particular conclusion, it is inevitable for the articles to reflect that. Sometimes the popular opinion can be unreservedly more bold than the evidence allows. Consider, for example, the community of people around “vaping” that will emphasize its safety instead of the need for long-term studies before that conclusion can be reached. Contrasting academic bias: There is quite a bit more self-awareness about the potential pitfalls of ideological bias in the best of academic writing. In general, however, the same mistakes can sometimes be made. Contrasting academic bias: Original research (even on obscure topics), please. The top tier journals, of course, do apply criteria of significance to sift through submissions. If you write academically, you already know not to cite Wikipedia. The quick and severe reprisals will prevent even any hold-out fans of the project from doing so. Still, some do take the guilty pleasure of reading it from time to time, perhaps just as a way to find ideas and references. Hopefully this little essay helps you further hone your own trusty bias-cutting machete as you navigate through the jungles of the wiki. 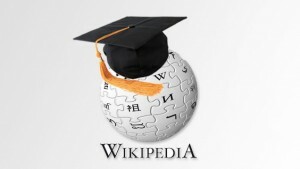 I agree with many of the problems you discuss, but what about the benefits of summarizing your research on Wikipedia? Personally, I think Wikipedia could be much, much better, if only academics with true expertise bothered to edit it. Wikipedia has made it very easy to cite academic literature. I’m not even sure I fit neatly into the category of “academics with true expertise,” but, yes, I have edited in the past and will make minor edits anonymously from time to time. There is indeed motivation for people to make their own particular research conclusions known through Wikipedia. There is less reward for toiling on the project beyond that. There was a project called Theopedia, which is still online, but very limited in scope. Still, the idea of a specialized information hub like that is probably more appealing and less likely to be abused, especially if editors are vetted first for either academic credentials, or expertise and experience in a given area. Wikipedia has the advantage of representing a broader range of points of view than tend to be present in any other imitator. The imitators seem to inherit the same flaws and add two more: narrower range of interests represented, as mentioned, along with less users or readers, leading to fewer edits. I’m not sure that restricting entrance based on credentials helps. It exacerbates the problem of not having enough editors. Also, the credentialed persons don’t have the same motivations when contributing to a wiki as they have when writing under their own name academically. Famously, the Citizendium, which was founded on the principle of involving credentials in the process, imploded on itself from what can be described as general apathy and inactivity. Still, the concept can work for a narrowly defined project where progress towards completion is in sight, which could motivate the contributors to make articles competitive in scope and accuracy. The beauty of Wikipedia is that anyone who sees flaws in an article can make corrections on the spot or bring it to the notice of a team of interested parties. Many articles have been created and corrected by leading academic experts and many others by dedicated lay readers. Wikipedia is built on trust in “the people” and despite so much ridicule from academics in the early days (and some of that still ongoing) it has demonstrated, in the main and despite many flaws*, that “the people” really do produce a product the equal of Encyclopedia Britannica and more. * Okay — I do often come across poorly written articles, and sometimes very biased articles that I find difficult to correct because of dedicated monitors of a contrary opinion lurking there to undo whatever is done by others. But these things are all part of the general progress, with its inevitable ups and downs along the way, towards creating a superior product in the long-run. The beauty of Wikipedia is that it has demonstrated that “the people” can indeed be trusted to produce a reliable product once thought could only be achieved by elites. It is not perfect, but those imperfections are visible to those same “people” who are showing themselves, in the main and over the slow and steady long-run, to be increasingly aware and responsible and dedicated enough to chip away at making everything better and more trustworthy. I am guilty of damning by faint praise in this article. To my defense, I did admit that “great things can happen” and that outright errors, particularly of the science and math kind but also of the can’t-miss-it-once-you-see-it kind, do get fixed. Things are not always so cheery in the less-trodden historical pieces, but that’s the price of free. The process works really well the more editors are interested in an article (and the better their information and more their interest and ability in assimilating it is). As the number of editors actively interested in a wiki article approaches zero, always favor the academic text. Favor it any way if you want a better hope of lucid writing but lean to the wiki if you just want to get a basic sense of something or some references without looking beyond the first result in Google. In short, both approaches to writing and their communities have shortcomings, and this article has been heavy on pointing out the flaws in one (while mentioning the tendencies behind both somewhat evenly). For some, this corrective note may be needed; for others, it could be overkill that satisfies a confirmation bias. The real point behind the article is not so much the sausage as how it’s made. Some interesting topics here. I think the most interesting way to approach it is from the view of sociology, particularly theories of the late Pierre Bourdieu, or maybe the power structure researchers. Often, these questions of “objectivity” are about fields of struggle, and academics are as often as not simply trying to distinguish themselves, and utilize academic institutions to bolster their own status and shut out, say, autodidacts, not because they have “better training”, “more expertise” or other such things that often reduce to nothing more than recreation of class interests (the class background of academics is not randomly distributed) and the like. Anyway, it seems like the most important factor is the culture and policies around each publication: there can be one or a million wikipedia editors, but if they all follow the same guidelines, that seems less interesting to me than maybe having 100 wikipedia-like sites each following their own variations on the “ethical” rules to writing, and so forth. Maybe (almost) anybody can make an edit, but they can only do so with the same (albeit unevenly enforced) set of guidelines, whether spoken or unspoken. Just like in sociology, heavily state-funded institutions in Europe tend to critique private institutions and the state less so, and heavily private-funded institutions in the USA tend to do the opposite. Yes, there are the “rules” of academic publication, but there are power structures behind the rules too. I guess I’m a little jaded in view of how frequently Wikipedia has deleted unflattering (yet notable, non-original research) articles about its founder and staff that comply with all stated rules and guidelines for editing.